Yaletown style in Lower Lonsdale! 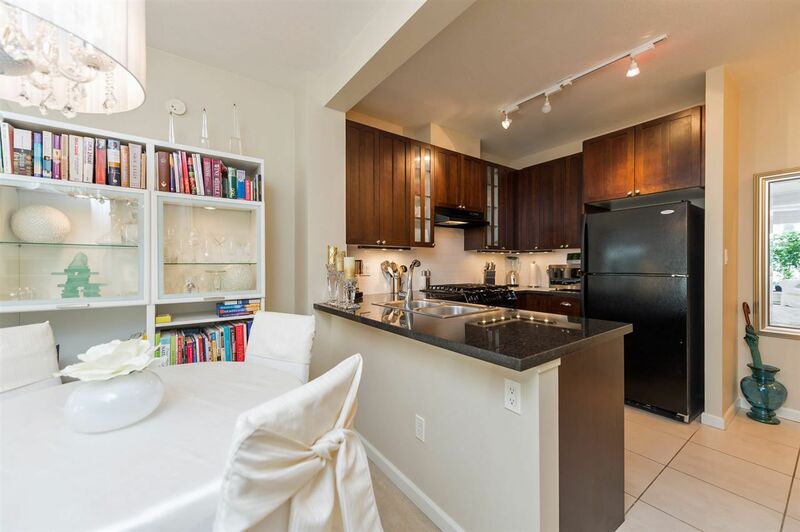 1 bed & den at Georgie Award Winning, “One Park Lane”. Beautifully decorated space, 9 ft ceilings, espresso cabinetry & dark granite counters, gas range, stainless appliances & gas fireplace; all lights on dimmers. Check out the Lions from your NW facing, 20' x 4' balcony. This is an elegant address in vibrant Lower Lonsdale – steps from shops, restaurants, recreation, transit & all that happens at the Waterfront. First-class amenities include fully equipped gym, concierge, theatre, and party room. Parking and storage locker included, rentals & 2 pets allowed!